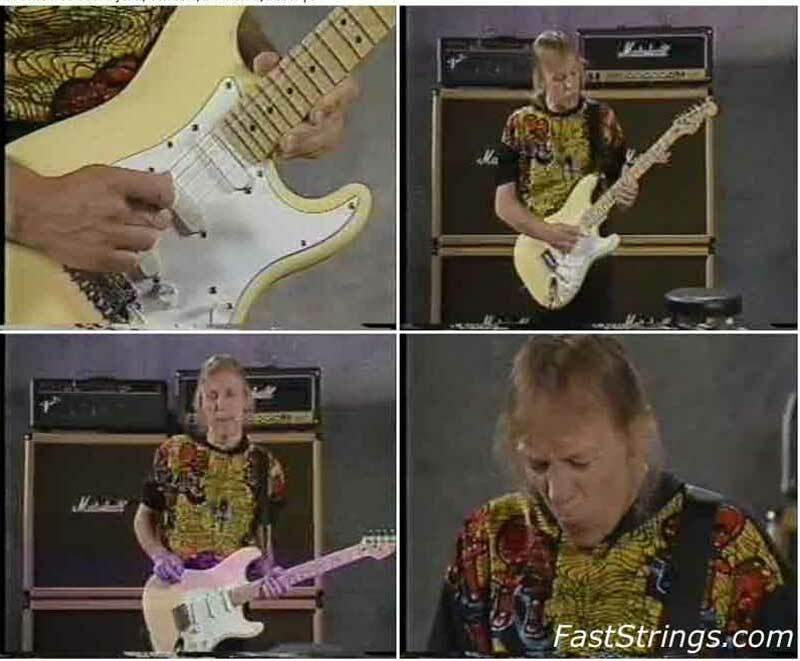 Robin Trower Classic Blues Rock Guitar download free. The ex-Procol Harum guitar master shares his secrets on this rare session. He demonstrates Vibrato techniques, Bending styles, Special blues licks, Working with a bass player, Memphis-style lead and more! With special concert footage of Robin and his band included, this is a real collector’s item disc from a true rock and blues guitar legend. Robin Trower is a player held in high esteem by guitarists around the world. His totally unique sound and style is fully explored in this excellent video from the early 1990’s. His technique is fully revealed at a liesurely pace, with excellent camerawork, and includes surprising comments and demonstrations of his personal guitar setup and amplification. It’s a very friendly, intimate lesson that will have an immediate impact on any aspiring blues/rock musician.